Sometimes you have a document with private information that needs to stay confidential but the rest of the document needs to be seen. 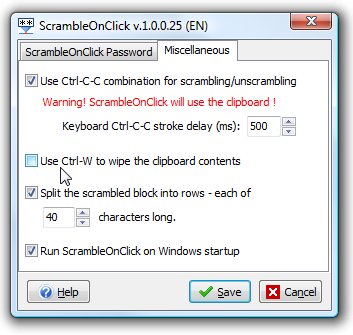 Today we will take a look at ScrambleOnClick which encrypts selected parts of a document. 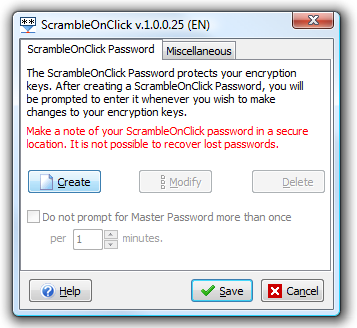 When first setting up Scramble On Click you will need to set up a password to protect the encryption keys. 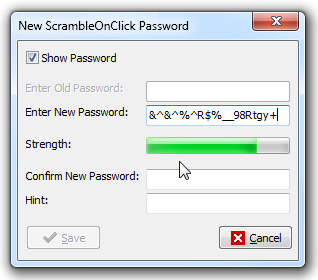 When creating the password you can select to show the password and a strength meter which comes in handy for 28 character strong passwords. There are a few options to set up here for Keyboard Ninja’s and also how timing of the combinations will work. The way it works is simple. 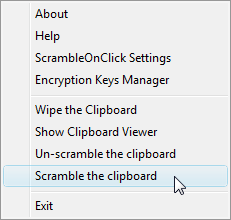 Just highlight and copy the text you want scrambled and right click on the ScrambleOnClick icon to choose to scramble, unscramble, or clear the clipboard. The easiest way for Keyboard Ninjas is use “Ctrl+C+C”. 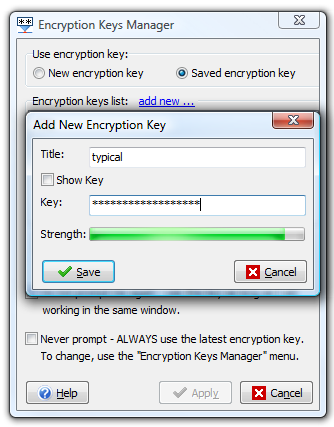 The next screen is where you can enter in a new encryption key or use a saved one. 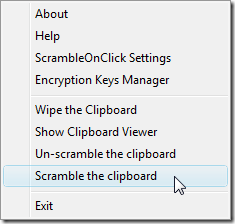 An alert notification will pop up advising you the copied text on the clipboard has been scrambled. Now just paste (Ctrl+V) over the text you don’t want seen. 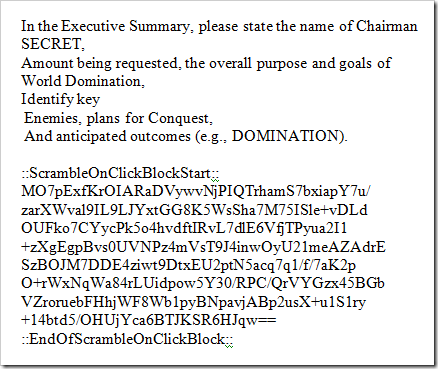 Here is the difference between text in a word document before and after it is encrypted. This works in any document program or email. 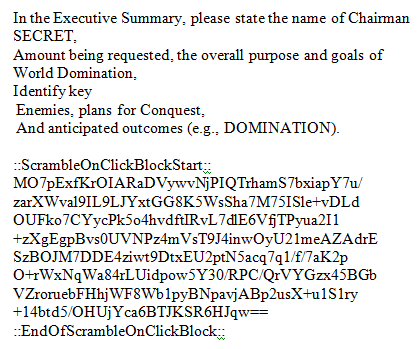 The document can be decrypted by another user provided they also have ScrambleOnClick installed and know the encryption key. 2BrightSparks offers a fully functional 30 day trial so you can try before you buy. 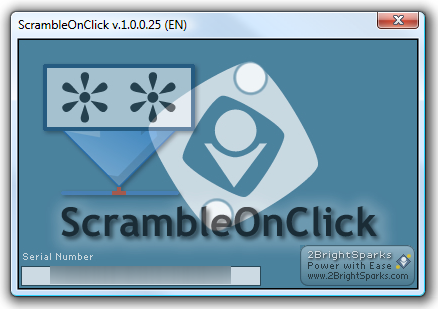 After that it is $30 for the complete set of On Click utilities.